Most attempts to make Bitcoin more palatable to governments tend to revolve around downplaying its privacy aspects. Arguments are made that figuring out who can be linked to which address through the blockchain will be quite easy once competent mathematicians start seriously working on the problem, or that Bitcoin’s privacy properties can effectively be reined in by requiring identification at the exchanges. No matter which particular path one takes, the point that anything more than a moderate degree of financial privacy is bad for everyone but criminals is conceded, and the debate immediately shifts to how easily Bitcoin in particular can be bent to look more like what government intelligence agencies want. This article will attempt to take a completely different tack. Rather than debating the merits of Bitcoin in particular, and ignoring the potential of other technologies like centralized and decentralized mixers, Chaumian blinding and Zerocoin (many of which can potentially be layered on top of even existing mainstream platforms like Paypal), another alternative is, for the moment, assuming that hyper-efficient anonymous payment mechanisms are here to stay, but also exploring the positive consequences that we might see as a result. Taxation is one major point of contention. It is often assumed that anonymous payment mechanisms will make life difficult for governments, because it will be impossible to collect taxes. In the case of income and sales taxes on purely digital goods, that is certainly true; if I were to sell a copy of my book pseudonymously online over Tor for 0.0238 bitcoins, anonymized with three different mixers before and after the sale, no one but myself and the buyer would be able to know that the transaction even took place. As for physical goods, although the effect of increased privacy in the digital world will at least partially be offset by increased surveillance in the physical world, once again with anonymous money it will be more difficult to collect taxes to some degree than it would without. 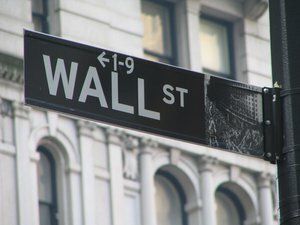 Nearly everyone, both those in favor of increased financial privacy and those against, agree with the above statements; the main disagreements have to do with, one the one hand, the extent of each of the particular effects, and, on the other hand, the desirability of taxation in the first place. However, there is one piece of the puzzle that, so far, the conversation is entirely missing. And that is: hyper-efficient, anonymous money (the two go hand in hand; systems like Zerocoin and decentralized mixers can be applied to any payment system with sufficiently low fees and cryptographically secure transactions) does not just weaken governments’ power to collect revenue; in fact, they open the door for innovative, radically new forms of government financing that would not be otherwise even possible. As every urban planner knows, road congestion is one of the largest problems that the modern city has to face. As soon as enough people move into a particular area that it starts to become a downtown, roads on the inside of the region, and often the highways leading in, slow to a crawl as hundreds of thousands of drivers all struggle to get to and from work at almost the exact same hours each day. Widening highways and roads works, but only up to a point; as soon as such a project is done, the roads once again become more tolerable, more people set up their homes and offices in the region as a result, and soon enough the problem is right back where it started. Public transport is a solution, but buses and subways are often slower and, according to some, less comfortable than cars, and so people often end up avoiding public transit even if it would be better for society as a whole if everyone did not. The key reason for the discrepancy is simple: externalized costs. When you are driving a car, there are a large number of costs that you end up having to pay. Many of these costs are borne by you personally; you need to buy the car to start driving in the first place, pay an additional fee every month for insurance, and finally pay for every kilometer that you drive at the gas station. But there are also other costs that are not paid by you personally, but are rather imposed on all of society. The example most people immediately think of is environmental costs, and these certainly do exist, but in an urban environment they are arguably not even close to the greatest issue. The greatest issue, in fact, is much more mundane: by driving a car on a road, you are taking up space. High-traffic roads are slower, and less pleasant, than low-traffic roads, and the pattern is continuous; every single driver that adds themselves to the flow of traffic is making life worse for evertone else who is sharing the road with them. Normally, when an activity is demonstrably “bad”, the solution is to simply ban it, but in this case that is obviously not a practical solution; some drivers on the road are using the road for a very good reason, and there is a natural equilibrium between having the maximum possible number of drivers on the road, and ensuring the best possible conditions for each one, that would deliver optimal results for society as a whole. However, under ordinary conditions we have a problem: the “free market” does not reach this balance. The reason is that roads are not a market at all; if your car had to compensate every other driver for the harm that it caused by taking up space on the road, just as you must compensate the grocer when you buy an apple, then it would closely approximate a traditional market, and, if the prices were right, produce the optimal result: a new car would only enter the road if the benefits to itself were greater than the cost to everyone else. Now, however, drivers enter the road if the net benefit to themselves is simply greater than zero – producing roads with far more congestion than necessary. The first solution that one might come up with to this problem is gas taxes. Add a surcharge to every liter of gas that drivers buy, and if the charge is high enough road usage will considerably reduce as a result. The problem with this solution is, however, that not all kilometers are created equal. Driving at night imposes almost no costs on anyone else, as there is no one else around, while driving at peak time is highly problematic. Similarly, driving along a road relatively far from, and perpendicular to, the downtown is far less of an issue than driving in the middle of it. Gas taxes fail to grasp these nuances, and so, if they are effective at reducing congestion at peak hours, may accidentally massively overshoot the target at night. Another solution is downtown parking levies, which are more efficient, but even still such solutions cannot rapidly adapt to changing circumstances, unexpected traffic jams or fine changes to driving patterns. For example, a hypothetical altruist driver wishing to avoid causing pain to everyone else coming to work around 8:00-9:00 and leaving around 17:00 to 18:00 by coming at 6:00-7:00 and leaving at 15:00-16:00, but they would still end up paying most of the downtown levy. Such levies also do nothing to stop the problem of people driving through high-traffic areas (people would still avoid them to some degree due to their own desire to avoid traffic, but, as described above, this level of avoidance is far below optimal), and fail completely when areas where more traffic is acceptable and where more traffic is not acceptable are right beside each other (eg. a high-traffic city street passing through a residential area). The one solution that stands out above all others is road tolls. Passing through some stretch of Main Street might cost 8 cents per 100 meters at 8:00-9:00 on weekdays, but only 4.5 cents per 100 meters at 9:00-10:00. At night, there might be no toll at all, or perhaps the city may wish to still charge a toll to compensate for the noise pollution against nearby residents trying to sleep. If traffic on some road is higher than expected, no matter what the reason, cameras can catch that and double the toll immediately. Google Maps could integrate with the tolling system in order to find an optimal path that tries to save money as well as time, guiding users toward those roads that are socially optimal, and in the future self-driving cars could work with the system completely automatically. If such a system is indeed as poweful as I have described, the question is: why hasn’t every city done it already? There are three problems. First is lack of infrastructure. Road tolls of this sort would require electronic payment handling devices at essentially every intersection, requiring hundreds of millions of dollars of initial investment that not all municipalities are capable of. Second is lack of standardization. If cities started to set up such systems independently, each one would be incompatible with the others, making life very difficult for anyone who does not simply stay in one place. Notably, the most famous municipality that does implement this kind of tolling, Singapore, is located sufficiently far away from other developed cities, and even further from other developed cities where most people speak English, that everyone who lives there essentially does simply stay (or at least keep their car) in one place. Third, and for some most important, is privacy. Under all of the systems that are currently available, an unavoidable secondary consequence of such effective universal road tolls is that everyone is being tracked everywhere they drive. 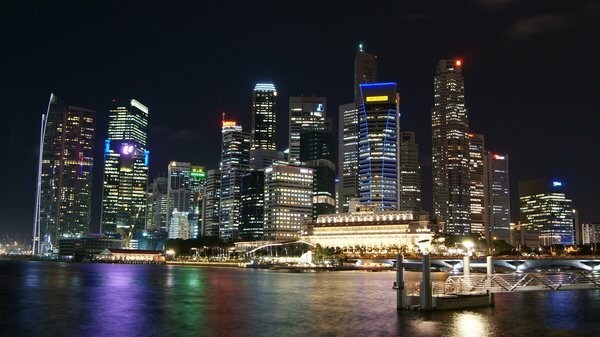 Singapore’s relatively authoritarian government can afford to ignore most privacy concerns without raising an eyebrow, but implementing a Singaporean system in cities with a more democratically minded populace may not go over so easily. Bitcoin (or hyper-efficient anonymous money in general, which Bitcoin may or may not actually be) solves the second problem, the third and perhaps even part of the first. Bitcoin is standardized around the world, so once an open-source Bitcoin-based toll solution is developed every city that wants to can simply plug it in. As for privacy, Bitcoin can be used to send transactions without linking them to any particular car; wallets can be specifically designed to avoid transaction linking. And as for infrastructure, Bitcoin is driving innovation with tools like Mycelium’s Bitcoin Card, which should make all relevant infrastructure much cheaper. Additionally, because Bitcoin payments only really need an internet connection in order to work, municipalities can take advantage of the opportunity to set up Bitcoin road tolls and offer city-wide free wifi at the same time. The revenue from such tolls could potentially be massive; collecting even two dollars from the average driver each day could easily pay for the public transit expansion that would absorb all of the residents that choose to no longer drive as a result of the tolls. And the drivers that do pay would enjoy cleaner, less congested roads; in fact, an economic argument can be made that the cost of paying the toll would simply replace, and not add to, the discomfort of driving in congested traffic – the only difference is, the cost would go towards schools and parks and libraries, and not engulfing your mind with blaring honks and frustration. Aside from roads, there are plenty of other services that local and provincial governments often charge for; electricity, water, gas and garbage disposal are perhaps the top four. All of these services, in fact, face the general problem as roads: they can be charged for, and in this case they always are, but the process can be done much more efficiently and in a more privacy-preserving way. Consider electricity, for example. One of the major challenges of electricity generation is that, while output from power plants is usually constant, electricity is needed in different quantities at different times, and it is very difficult to store electricity in order to smooth out these variations. If your local power plants can generate a total of 2000 MW of power, and average consumption is 1200 MW, that might sound like a safe margin, but in real life things are not nearly so simple. What if people consume 400 MW between midnight and 16:00, but 2800 MW for the other eight hours? What if there are two peaktimes, one smaller one in the morning and a larger one in the evening? What if there’s also a difference between weekdays and weekends? So far, the main workaround has been to simply build power plants to maximum capacity and often leave them unused. The first solution to the problem is smart meters. Electricity distribution agencies (whether government departments, private companies or anything in between) could set different prices for electricity at different times – perhaps one might pay $0.04 per kWh at night, but $0.20 per kWh at peak time, and electricity meters that are aware of the prices could calculate the cost. In some places in the United States, the agencies occasionally announce “critical price events” – blocks of time where, due to particularly high usage (eg. due to unexpected heat), the price of electricity would be ten times higher than usual. Residents living through these events are forced to cut down drastically on all non-essential usage during those hours to save money, creating an efficient, and arguably more palatable, alternative to brownouts and blackouts. The problem with smart meters, however, is privacy. The more precise the pricing system, and the more accurate smart meters get, the more the electricity distribution agency knows about your electricity consumption. This is no small matter; marijuana growers and Bitcoin miners have already been discovered simply by watchin electricity usage now that systems for gathering and analyzing data have become so well-developed, and as finer-grained surveillance capabilities emerge it will not just be a small set of “unusual” lifestyles that can be found out. Whoever sells you your electricity could tell when you are cooking dinner, when you are making tea (possibly even what brand of teapot), and when you are fast asleep, down to the precise minute. Cryptography offers a solution. What if, instead of recording how much electricity you spend and when, you could simply provide a zero-knowledge proof that all of the electricity you received you paid for, without revealing any other knowledge to the agency? With the advent of technologies like Zerocoin, cryptographers have proven themselves to be a resourceful lot; devising a protocol ideally suited for this should not be a problem. As one example of how a cryptographic solution might work, consider the following protocol: every hour, your smart meter (which can be open-source) publishes a cryptographic “commitment” (eg. a SHA256 hash) to one of a few trillion trillion Bitcoin addresses controlled by the agency, and, depending on how much energy you consume, at the end of the hour the meter would anonymously send money to that address. To enforce the system, we add an auditing protocol: after the commitment phase, the agency picks a random 0.1% of homes and monitors the electricity usage of everyone in that group itself. This need not be especially difficult; one solution is to require homeowners to have two smart meters, of which one is open source and does most of the day-to-day reporting and payment, and the other is proprietary. The open source meter can be trusted not to reveal any information outside of the protocol because the source code is auditable, and the proprietary meter can be trusted because computer experts could wiretap the device and see that it only sends a few bytes to the agency during the occasional auditing phase. Once the hour is over and the payments are supposed to be sent, the agency requires those users (or rather, their smart meters) to provide the addresses that they paid to. The agency checks to see if the correct payment was sent to that address within the past hour, and if the address matches the cryptographic commitment. The commitment scheme ensures that homeowners cannot trick the system by simply looking for a government address that has the right balance paid to it in the past hour and claiming that was the one they had sent money to themselves; instead, homeowners must decide on the address before the fact. This isn’t quite zero-knowledge, as you do lose your privacy during that 0.1% of hours that you get audited, and it requires another mathematical trick that wasn’t described here to allow the agency to actually control trillions and trillions of addresses, but it illustrates the principle. Water and gas can be charged for in the same way; garbage disposal is a somewhat different problem, but even there Bitcoin can make serious headways in increasing efficiency by allowing garbage collectors to charge in fine increments by mass. The general principle remains the same; with cryptographic auditing techniques, it becomes possible to charge for anything at a much lower cost of data privacy than before. Businesses could benefit too; factories may wish to buy materials using this kind of cryptographic scheme so that they can meet their rapidly changing industrial needs without clueing competitors into what they are interested in. An interesting technology called private information retrieval allows users to pay for downloads from a database without revealing to anyone, including the database itself, what they were looking for. Privacy-preserving purchases have thousands of applications, and we’ve only begun to scratch the surface of what they could offer. Anonymous cash, combined with the commitment scheme protocol described in the previous section, could allow for a more efficient, and privacy-preserving, collection of sales tax as well. The way this would work is similar; stores would publish a commitment to a government address for every transaction, and occasionally auditors would, after a particular transaction, demand that the address corresponding to that transaction be revealed. Government gets all of the taxes, stores need to do zero reporting; essentially a win-win for both sides. Of course, the “shadow economy”, including anonymous commerce over the internet, would evade sales tax entirely, but this still shows how an increase in financial privacy can actually make tax collection more efficient. What these examples show is that crypto-anarchism is not the only political platform that can find financial privacy useful; efficient anonymous money may well allow governments, especially on the municipal level, much more freedom to fine-tune taxes and other monetary incentive mechanisms to meet communities’ hour-by-hour needs. In those cities that are daring enough to try it out, this may well finally bring the futuristic technocratic utopias that we have all been waiting for. And, if are the sort of person that does not want governments to become any more powerful than they currently are, do not despair; the only municipalities that will actually be willing to implement any of these measures at first may well be private cities.